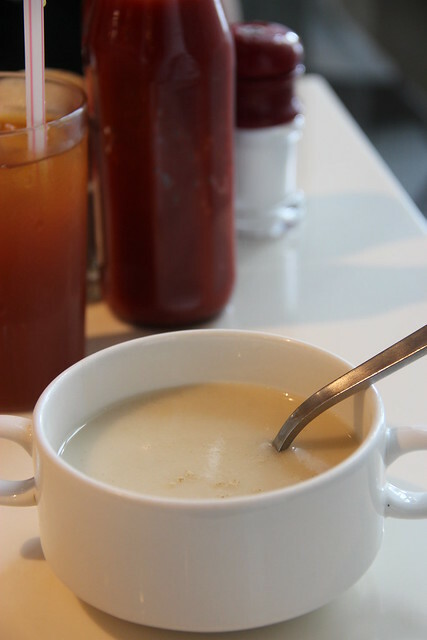 Han’s is a casual place for quick lunch and dinner that serves mainly Western food with some Asian delights as well. It is just a normal cafe with very affordable prices so you would not like to expect too delicious food. My friends and I went to the Novena Square outlet. I once dined at the outlet at Suntec City and unlike that place, this outlet is self service when it comes to ordering your food. I also realised that the place was rather noisy, and hence the ambience of a local food court instead. It is definitely more worth it if you order their All Day Set Meals than A La Carte items off the menu as it comes with a drink, dessert and soup of the day. The Grilled Dory Fish set ($9.80) I ordered was mediocre. I guess it would be wiser to have their pasta dishes. The soup served was cream of chicken which tasted just like Pizza Hut’s which I really liked but I would love it even more if they could add in chicken chunks like Pizza Hut does. I got disappointed when I realised that by dessert they meant a slice of watermelon for each person. I think it’s controversial but I don’t classify fruits under dessert. Even though it’s healthier I would still prefer my usual, sinful slice of cake or glass of ice cream. 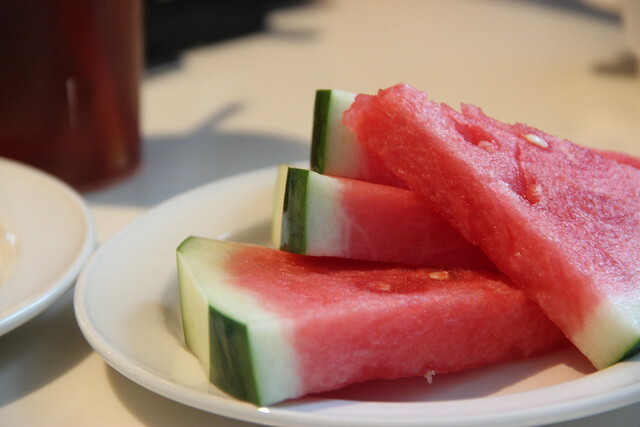 Even if they do want to use fruits for dessert, a puny slice of watermelon for a person is not doing justice to people. 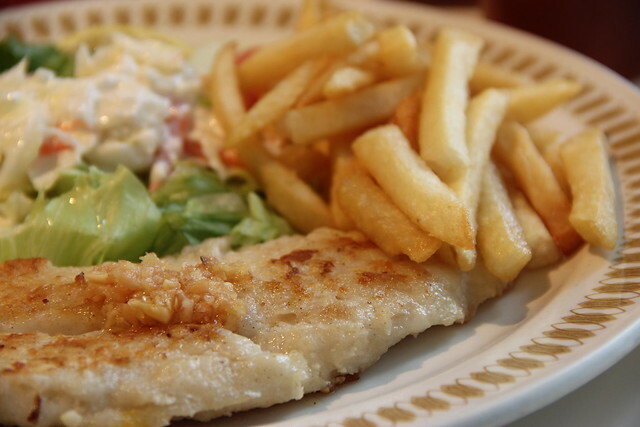 The main (grilled dory) tasted fine, but I get the feeling that it is lightly battered rather than grilled. What I would call a simple dish that’s not too oily. Well I guess it’s alright for people who wants something quick but are not picky over their food, but I really do wonder if it’s as noisy as it was on the day I went.